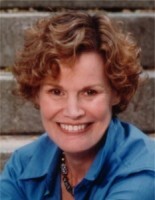 When Judy Blume began writing 50 years ago, she didn’t realize she would become one of the most banned writers in America, and that many of her books, including Are You There God? It’s Me, Margaret would be censored by schools and libraries. She wrote about the things she went through as a girl, hoping to help other girls get through the invariably confusing time of adolescence. As the years go by, her books have been challenged over and over again because they explore themes of religion, teen sexuality, divorce, and suicide. In response, Blume has become a strong voice against censorship of any kind.